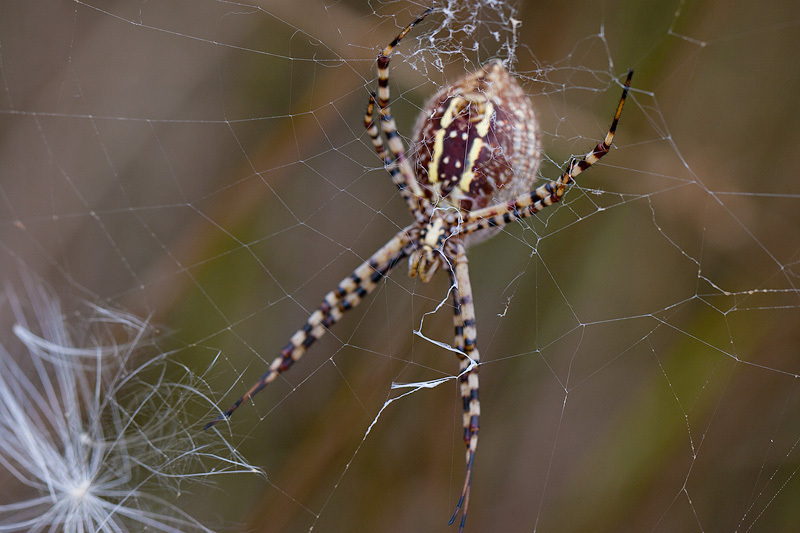 Spiders have emerged in huge numbers in Marin, but none are as colorful and alien-looking as this one. I particularly like the barred legs and cranberry-colored head. I counted 8 huge webs in my 25'x17' back yard. What's going on? WOW...this is exquisite. Just - WOW!